Guitarist/Vocalist/Songwriter Mike Meagher along with Bassist Dave Morse and Drummer Al Ruggieri have started the band MM3. Their debut album “Observational Alchemy” will be released in November 12th on Factory Fast Records. 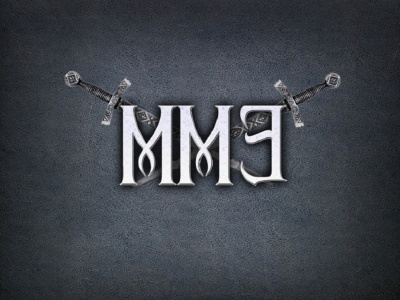 The album is now streaming on their website www.mm3band.com and available for download. MM3 is new to original music after the members spending many years in cover scene. What started as Meagher just messing around with song ideas, riffs etc. lead to the formation of MM3 and the album.MM3 has been getting extensive airplay on internet stations Boston Rock Radio, The Shift, EGH Radio, XRP Radio, 365 Radio network among others. Gibson Les Paul, Fender Stratacaster are the 2 iconic guitars of rock music and that’s what’s featured in these diverse songs. Grunge, Metal, Hard Rock, Punk, Southern Rock, E-Bow tinged space rock are all here. A true DIY project. MM3 wrote, performed, produced all songs in Meagher’s home studio in Groveland Massachusetts. Hailing from Massachusetts MM3 has a sound described as a mix of Alice In Chains, Black Sabbath, Nirvana and 3 Doors Down. Their debut album is a mix of metal, psychedelic and classic rock and heavily influenced by the 90’s grunge. Singer / Songwriter / Guitarist Mike Meagher started writing songs last year after stints in several cover bands. His friends bassist Dave Morse and drummer Al Ruggieri sound out the band’s line-up. Encompassing metal, rock, and grunge MM3’s debut album “Observational Alchemy” is like a 50-megaton payload bomb in the form of a compact disc defining the band’s intents clear on arrival. This crushingly loud rock-oriented LP is grandiose in scope and loaded with pummeling riffs and a menacing flair. They are heavy, hard, brutal, and direct (and maybe a bit set in their ways) In fact, MM3 are so guitar obsessed the band only tentatively embrace the additions of synthesizers to the mix but nevertheless sound coherent and natural. Don’t expect a bunch of shading and subtlety here, instead your package is delivered by MM3 with an onslaught of guitar noise.